Tópico em 'Internacional' iniciado por Vince 21 Out 2007 às 15:33. 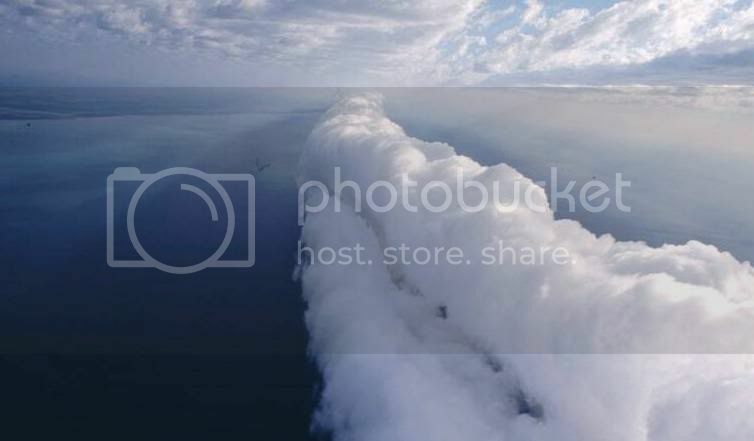 A "Morning Glory cloud" é uma rara nuvem que por vezes se forma no Golfo da Carpentária, no norte da Australia. 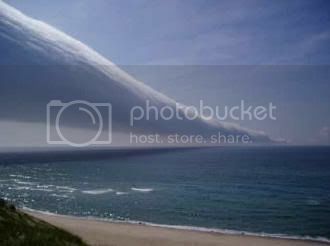 Tem uma forma típica de uma "roll cloud" mas neste caso chega a ter 1000 km's de comprimento e de 1 a 2 km de altura. A nuvem desloca-se a cerca de 40km/h. 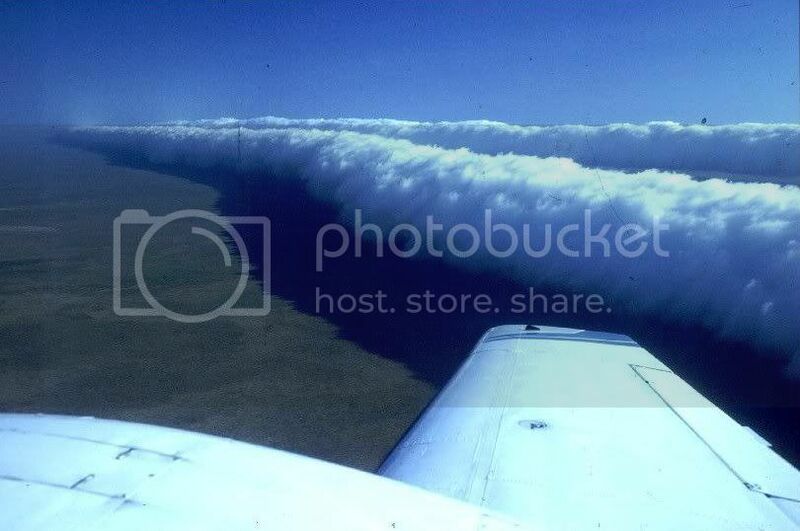 The Morning Glory cloud is a rare meteorological phenomena observed in Northern Australia's Gulf of Carpentaria. 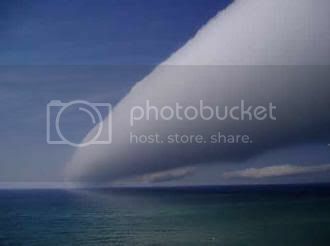 A Morning Glory cloud is a roll cloud that can be up to 1000 kilometers long, 1 to 2 kilometers high, and can move at speeds up to 40 kilometers per hour. 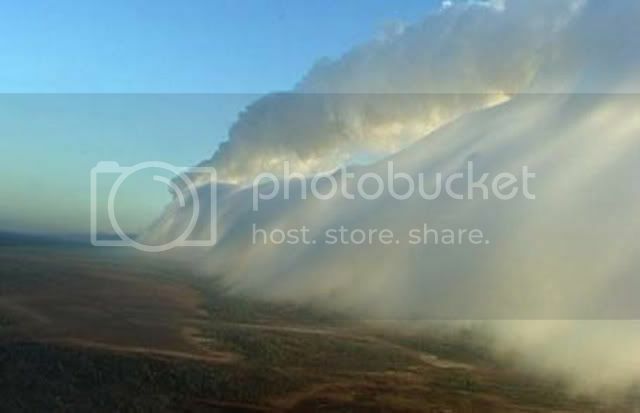 The morning glory is often accompanied by sudden wind squalls, intense low-level wind shear, a rapid increase in the vertical displacement of air parcels, and a sharp pressure jump at the surface. 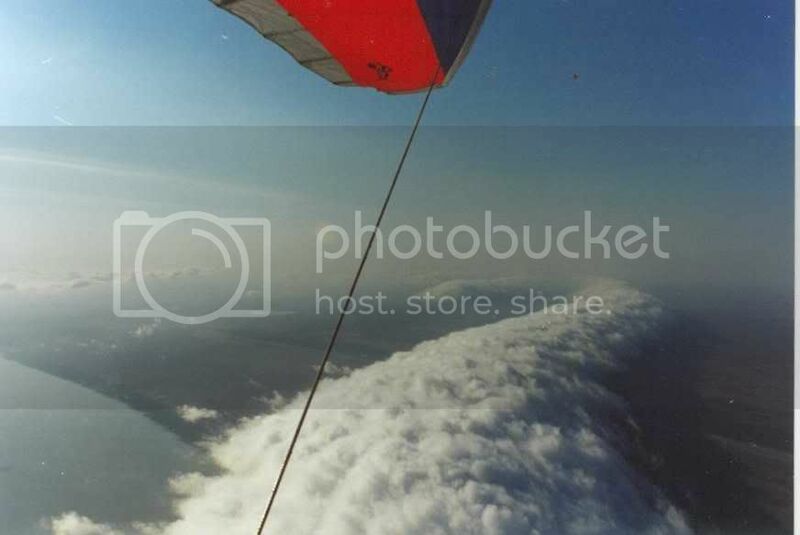 In the front of the cloud, there is strong vertical motion that transports air up through the cloud and creates the rolling appearance, while the air in the middle and rear of the cloud becomes turbulent and sinks. 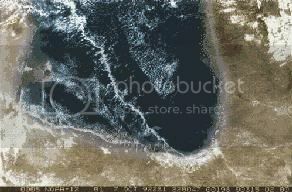 The cloud can also be described as a solitary wave or a soliton, which is a wave that has a single crest and moves without changing speed or shape. 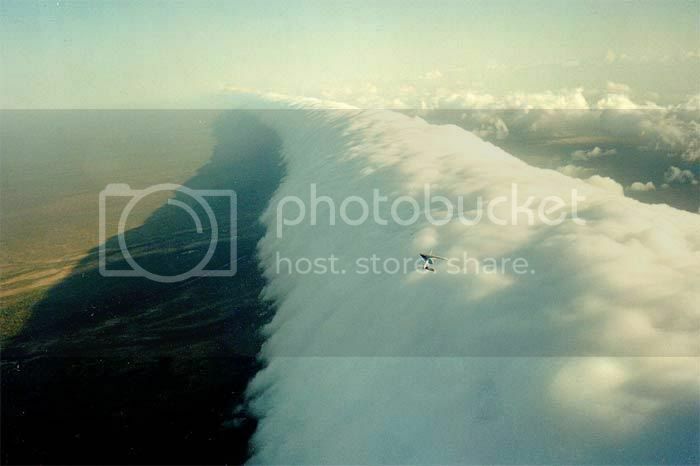 Despite being studied extensively, the Morning Glory cloud is not clearly understood. Regardless of the complexity behind the nature of this atmospheric phenomenon, some conclusions have been made about the causes of the cloud. Through research, one of the main causes of most Morning Glory occurrences are due to the mesoscale circulations associated with sea breezes that develop over the peninsula and the gulf. On the large scale, Morning Glories are usually associated with frontal systems crossing central Australia and high pressure in northern Australia. Locals have noted that conditions ripe for the formation of the Morning Glory is for high humidity in the area, which provides moisture for the cloud to form and for strong sea breeze winds to be blowing the day before. Nunca tinha ouvido falar deste tipo de nuvem, este fenomeno só acontece mesmo no golfo da Carpentária? nunca ocorre noutros locais? Vou pesquisar mais sobre este fenomeno meteorologico desde que me registei, é que percebi como sou ignorante, à muitas coisas que tenho que apreder sobre meteorologia. A foto do meu avatar é uma morning glory. Acontecem por todo o mundo. No golfo da Carpentária são mais fáceis de prever e mais regulares. Já agora a entrada do wikipedia está desactualizada. Actualmente já é possível a previsão com sucesso de moring glories no golfo. As características deste fenómeno fazem com que seja o sonho de qualquer praticante de asa delta "surfar" estas maravilhas! Existe alguma possibilidade deste fenomeno ocorrer em portugal? Roll clouds ocorrem por todo o mundo. Morning glories também são passíveis de acontecer, embora sejam muito raras.